Gifted songstress Sara Groves has released the tenth album of her career this week. 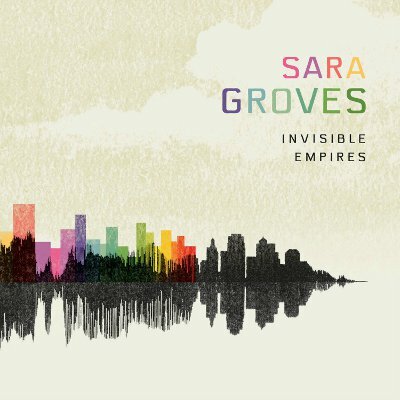 'Invisible Empires' was produced by Steve Hindalong (Leeland, City On A Hill, Sixpence None The Richer) and is the follow-up to Sara's 2009 album 'Fireflies and Songs' which received accolades including Christianity Today's 2009 Album of the Year. The singer/songwriter describes the album as a process of sorting through the layers of life, gaining a new perspective and finding the truth. "Fireflies is very much like a girl and her piano," says Groves of her previous album, "and I knew this record was going to be a little bit bigger than a girl and her piano. I like to write pop songs, I like to write bigger songs. I like strings and guitars, so I guess when I went to go write this record I didn't feel like this was going to be Fireflies Part II." The eleven track album includes Sara's current single, the gospel-inspired 'Eyes On The Prize' which is described by INO Records as "a captivating anthem that was adapted during the Civil Rights Movement and also features the young voices of a group based in Jersey City: the New City Kids. While the message is universal, Groves had International Justice Mission (IJM) specifically in mind, knowing that this nonprofit social-justice organization, like many do, has reached its point of the 'long haul'."